Red Carpet Block Buster Competition PowerPoint Templates And PowerPoint Themes 0912-"Microsoft Powerpoint Templates and Background with people standing on a red carpet path"-"People standing on a red carpet path, success, winners podium, competition, people, business" Our Red Carpet Block Buster Competition PowerPoint Templates And PowerPoint Themes 0912 consider you family. They express their affection in a colorful way. 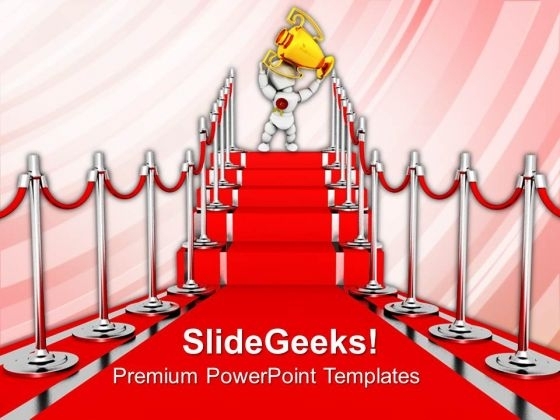 Research problems with our Red Carpet Block Buster Competition PowerPoint Templates And PowerPoint Themes 0912. Download without worries with our money back guaranteee.